The workers compensation and property-casualty claim practices at the Ideal Insurance Agency are staffed by seasoned claim experts. Knowing the language adjusters speak and understanding how to effectively navigate claims issues are what makes the difference when a loss has occurred. By combining experience, know-how, and advocacy, the Ideal Insurance Agency provides clients with support that separates ordinary claims processing from genuine customer service. Effective claims management can reduce costs while maximizing the effectiveness of your internal workers compensation management program. We structure a customized plan that provides you with exactly the right mix of tools designed to produce a significant impact. By establishing a collective services agreement, specific priorities and issues can be identified and addressed. This service agreement acts as our “report card” for performance throughout the year. 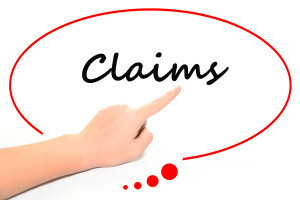 The same high level of service is also provided for property and casualty claims. Every client is assigned a dedicated claim advocate contact – an individual who will oversee every stage of the claim to ensure the carrier’s actions are expeditious and the claim is resolved as favorably as possible.